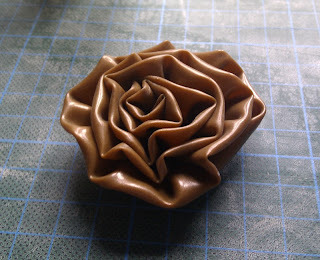 The regular reader of this blog will know my passion for latex flowers like these roses. 1. 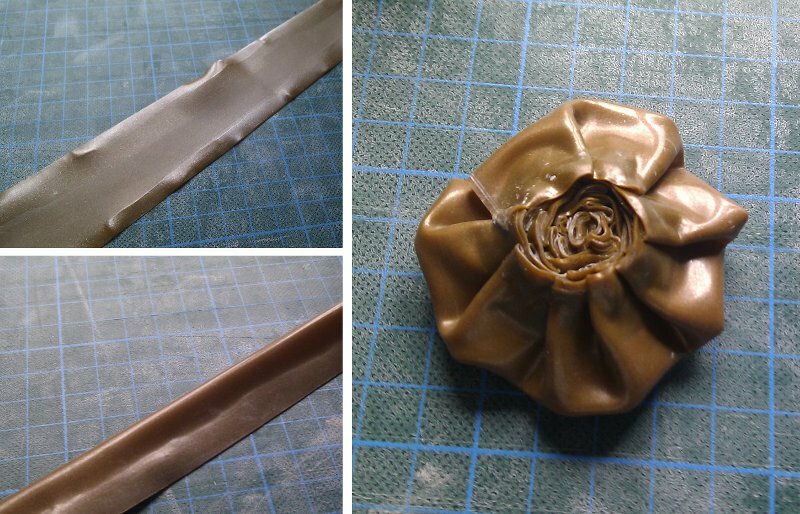 The basic material for my latex rose is a 60cm long strip of latex that is about 3cm wide at one end and 5cm at the other. The 3cm end will be the center of the rose. I used 0.35mm latex of metallic honey color. A bit translucent and very tasty. 2. 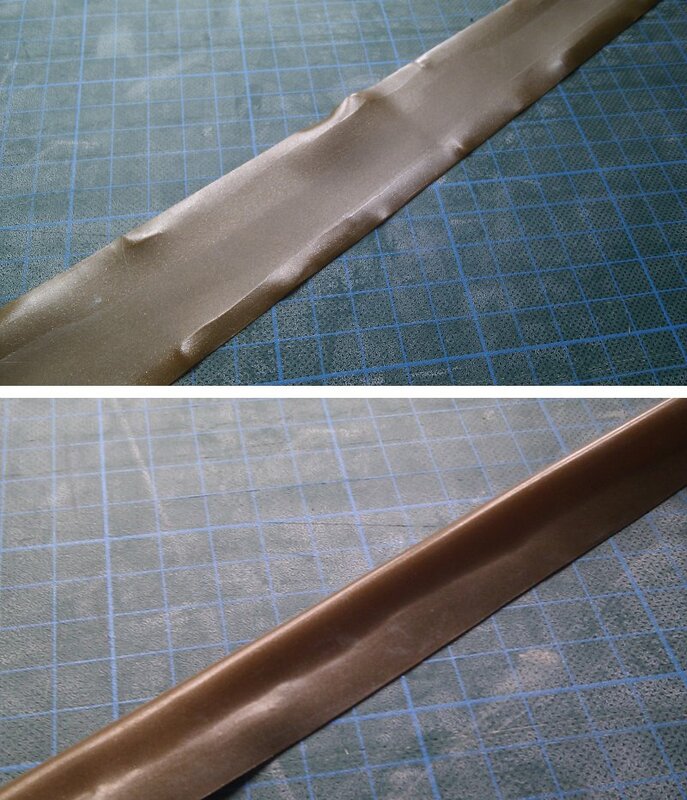 Apply glue to both long edges of the strip (on the backside) and glue them together. 4. Start at the narrow end rolling the strip into a flower. 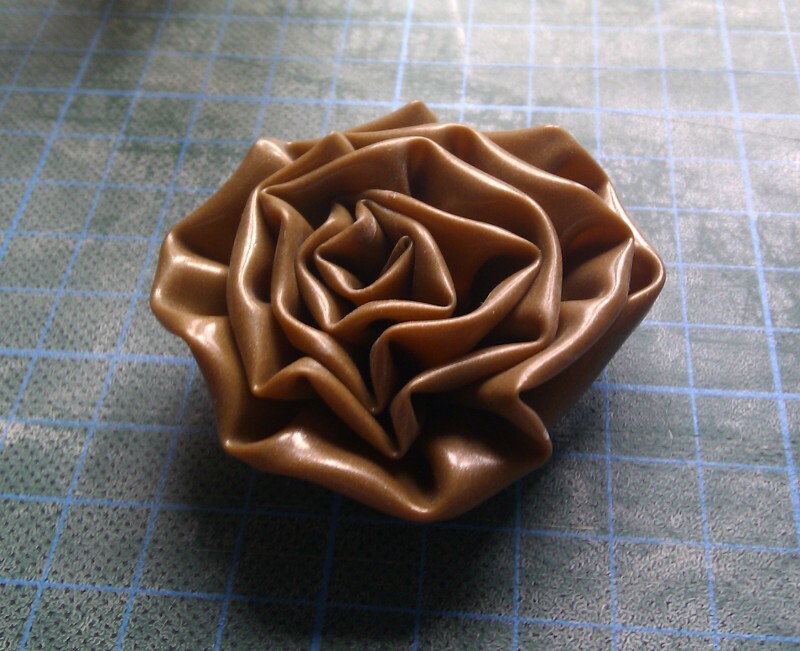 Overlap the latex to give the flower form. 5. Add some additional glue (or liquid latex) to the bottom of the rose. Ask, if you have questions. Make your own flowers and show them. Can't wait to see them. Victoria van Violence ist wearing zitronenroellchen "Proud Plum" in the current issue of the German tattoo magazine "TätowierMagazin". Photo by Sideview Inn. Victoria van Violence in "Raspberry Nights"
Victoria van Violence has been shot by Philipp Ganzer Photography wearing zitronenröllchen "Raspberry Nights" swim suit.